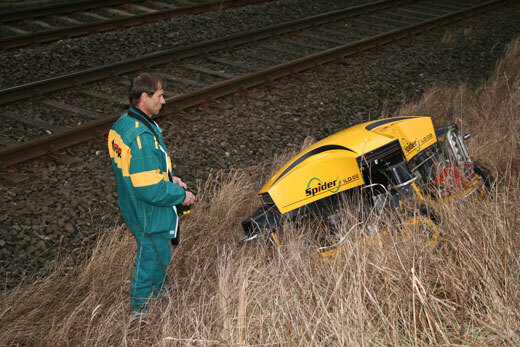 The Spider Mower can cut railway corridor areas while causing minimum obstruction or interference to rail operation. 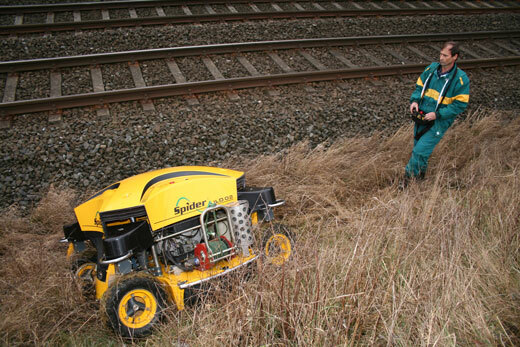 Compared to the conventional approach to such tasks with tractor or excavator mounted equipment, the Spider Mower causes minimal interference with adjacent areas. 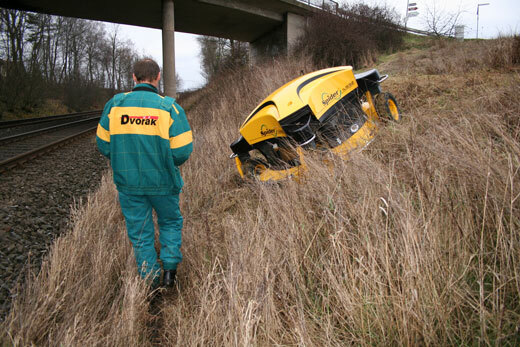 Obviously other precautions appropriate given the presence of an operator would still be required.